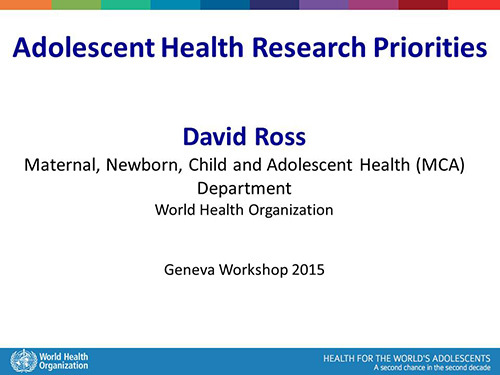 Ross D. Adolescent health research priorities. Paper presented at: Geneva Workshop 2015. Training Course in Sexual and Reproductive Health Research; 2015 Sep 16; Geneva.